McFarland & Company, 9780786468805, 211pp. Joseph W. Young, Jr., was acknowledged as one of the five or six major city builders in boomtime Florida. From practically nothing in 1920 he created Hollywood By-the-Sea with an elegant Beaux Arts plan of circles and lakes, calling it a "City Beautiful," an ideal first propounded by Daniel Burnham of Chicago. Young had a rare talent for publicity and a knack for making and spending millions--supported by an immense personal charm that is still remembered decades after his death. 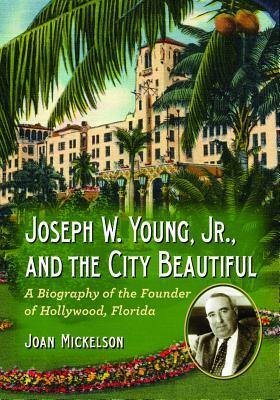 This first full biography of Young covers his start as city builder in turn-of-the-century California where new cities blossomed and were ballyhooed, his move to Indianapolis, home of Carl Fisher who developed Miami Beach, his creation of Hollywood and Port Everglades, and his move to his Adirondack resort, ending with his dreams to expand Hollywood, fulfilled after his early death. Florida historian, art historian and biographer, Joan Mickelson lives in Broward County, Florida.